Published by William Dickinson in 1787. Henry William Bunbury was the son of Sir William Bunbury of Mildenhall, Suffolk. 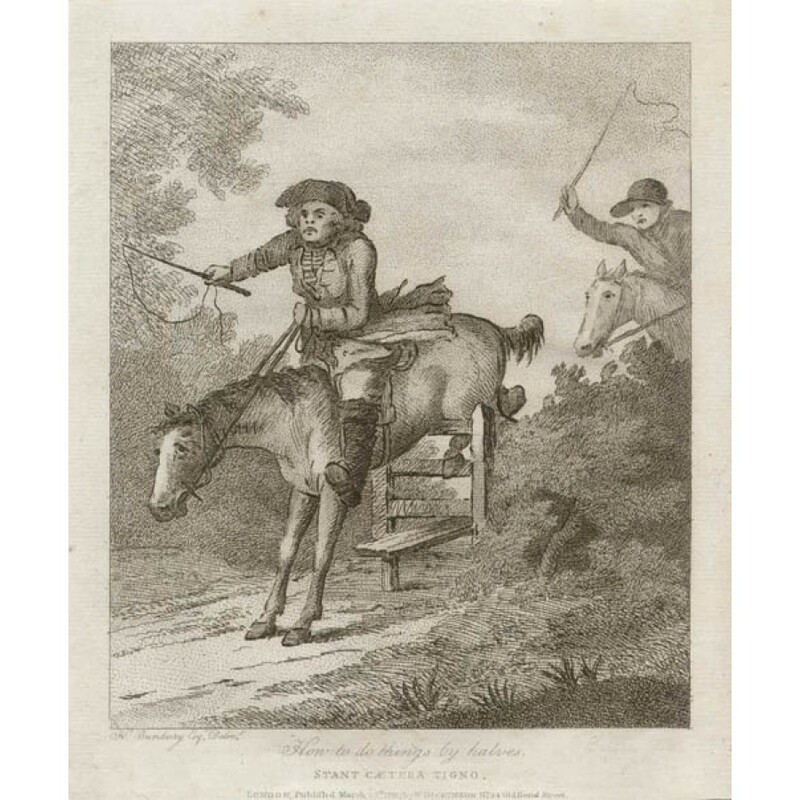 After completing his studies at Cambridge University he began to draw caricatures and other comic subjects, the first of which were etched and published in 1771. 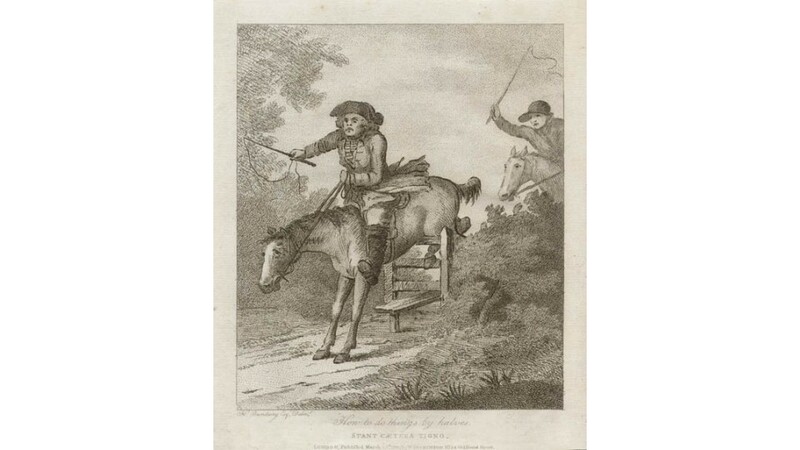 Bunbury then quickly rose to become one of the greatest satirical artists of the day with his etchings such as the series entitled, Hints to Bad Horsemen. He also became close friends with the great artist, Thomas Rowlandson, who later engraved many of Bunbury's designs. Throughout his career, Henry Bunbury enjoyed the patronage of the Duke of York who appointed him his Equerry in 1787. Trimmed within platemark, close to publication line at bottom of the sheet.